After many years of rumour, it has finally been confirmed that Dunhill is to cease cigar and tobacco production with immediate effect. Established in 1907, the Dunhill name has always been associated with quality and craftsmanship, especially in the production of smoking accessories, be it pipes, lighters, humidors and the like. This ethos was the same for its pipe tobacco's and cigars, where luxury was the key word and the blenders art, was utilised to its maximum potential. A 110 years later in an industry ravaged by high taxes and extremely stringent tobacco regulation Dunhill have decided to call it a day and concentrate on the other products it produces for the luxury market. It is a very sad day that over 110 years of heritage is being given up to appease the do-gooders! 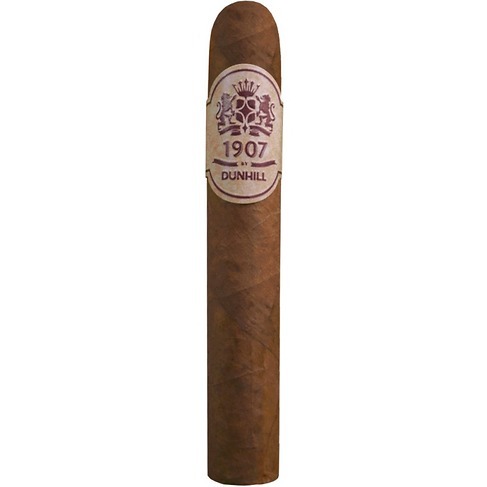 Released to celebrate the founding year of Dunhill back in 1907, this little beauty shows the refinement and elegance that one would expect of Dunhill product. Hand rolled in the Dominican Republic, using Osa Viso leaf from Honduras as the wrapper. Inside the filler combines both Dominican Olor and Piloto Cubano varieties which, which when smoked, produces a medium bodied smoke.